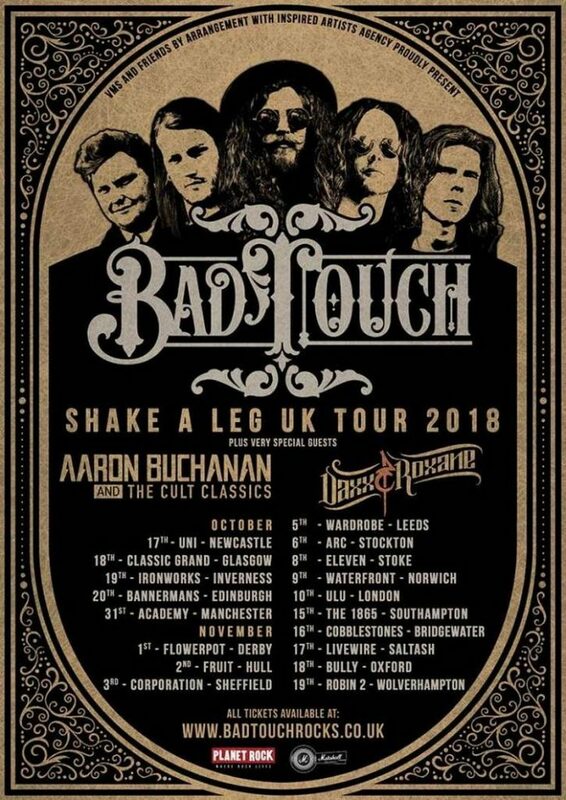 Bad Touch are an up and coming rock band, joined on their second headlining tour by the awesome Daxx & Roxane and Aaron Buchanan and The Cult Classics. Bad Touch and Aaron Buchanan are both known for their dynamic and energetic live shows, so I knew it was going to be a fun night. It was great to meet all the bands; everyone was really open and friendly, just chatting backstage. One of the photographers that joined them on part of their tour brought it some cakes for her birthday, in return the bands all signed a poster for her and we all sang happy birthday! It was funny watching Bad Touch sound checking and getting ready, joking around with the audience. As soon as they hit the stage they smash straight in, starting with a heavy drum solo. Stevie jumps up and down as they switch to a more upbeat and faster pace. The lights go down, marking the change to a heavier tone, and they crash back in with a hard-rocker. They started off giving the audience a taste of a few songs off their latest album. Then flipped it on its head, following with an old favourite from their first album. “It’s good to be back in London! Thank you so much, you have no idea how grateful we are”. Stevie calls out, showing their love for their music and genuine appreciate of their fans. 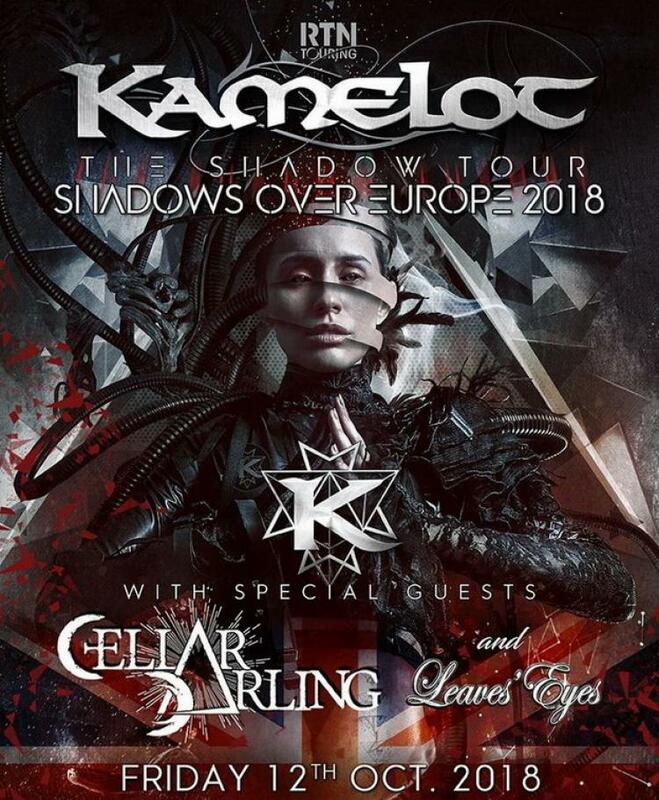 “We have been looking forward to being back in London for the whole tour. Thank you from the bottom of our hearts. We’d be nothing without you”! You can see this love and dedication is returned by the fans, as someone flew in all the way from Finland just to see them that night! Now that is a true will and testament to their skill and the love they inspire in their fans. “We have a very simple message for you”, he pauses “take… your… time”! In stark comparison to the majority of their hard rock songs, they also proved they can also master the slower and gentler songs. “Take Your Time” is a more soulful ballad style song with an almost bluesy twinge. Packed full of beautiful lyrical vocals and raw emotions. With a soft, psychedelic beginning, the drums crashing in almost takes you by surprise and woke the audience back up and injected some extra energy into the room. They get the audience all singing along to the catchy and upbeat “My Mother Told Me”. “Congratulations, you get the sweatiest gig, and George might pass out!”, Stevie jokes with the audience – and thankfully George did just about retain consciousness throughout the gig! The heavy drum beat sent reverberations around the stage, you could see everything shudder and shake along. One of the guitarists puts his hat on Mike, bassist, who almost immediately head-bangs it off! They ended on one of their old, old songs “Back from when we were just five boys and a dream in Norfolk”. Finishing with a rockin’ drum and guitar solos before exiting the stage. Of course they weren’t gone for long, as the fans called out for an encore. They burst back out and George starts with a very loud, pounding drum beat. Stevie struts, dances and twirls about the stage, getting the crowd singing along. Bad Touch crashed in with a full on rock ‘n’ roll storm, packed with electric riffs, heavy drum beats and plenty of head-banging! They keep the spirit of the 70s rock alive, complete with flares and floral shirts, whilst dragging it into the 21st century. I was lucky enough to meet the boys backstage and interview them before the show, and not only are they skilled musicians, they’re also all genuinely friendly and funny. I’m sure we’ll be seeing lots more great music and explosive, dynamic live shows in the future! Daxx & Roxane’s show was packed full with high energy and heavy beats, just how we like it! They were the perfect warm-up act, they got everyone crowding around the stage with their hands in the air, shouting and cheering. “Let’s get this party started!”, Cédric shouts out to the audience. The boys were dancing all about the stage and jumping up on the railings round the stage, to play out into the crowd. You can clearly see how much fun these guys have, and that they’re genuinely all friends. As they mess about, play and pose together. 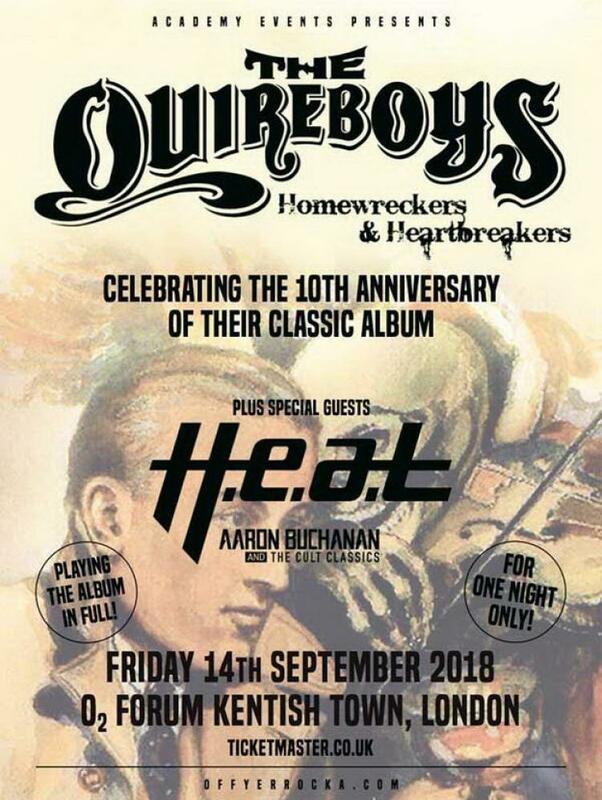 It was great to see Aaron Buchanan and The Cult Classics again, after seeing them back in September when they supported the Quireboys. Psychedelic sounds play as they enter the stage one by one. Paul stands up on the stool behind the drums, bugging the crowd up as Aaron hits the stage. “Let me hear you make some f**king noise!”, Aaron shouts out. They mixed together some of their old favourites, and brand new songs such as “The Devil that Needs You”. With a fast, cheery and almost folky start. Crashing in to a full heavy rock second half. “Let’s see those hands in the air”! As Paul goes in to a slow, heavy drum beat. Slowly building up as the guitars join in and Aaron starts smashing on the cymbals. At the end of the song they pause for a moment and the crowd starts to clap. Then they smash straight back in with another hard rocker. Aaron sat on the railings at the front of the stage and read out social media quotes of the funniest posts from their tour so far. “I always find them funny, especially when they’re about me”! One quote he read out “this punky stuff does nothing for me” then asked the crowd “do I look punky?? Have you seen this aesthetic”, which even included suspenders, so closer to Amish than punk! They end on one hell of a drum solo and some killer power poses. I love the mix of styles, between the heavy metal drummer, and the almost folky lead. You never see Aaron still on stage! He’s constantly dancing and jumping about stage, I don’t know where he gets his energy from! 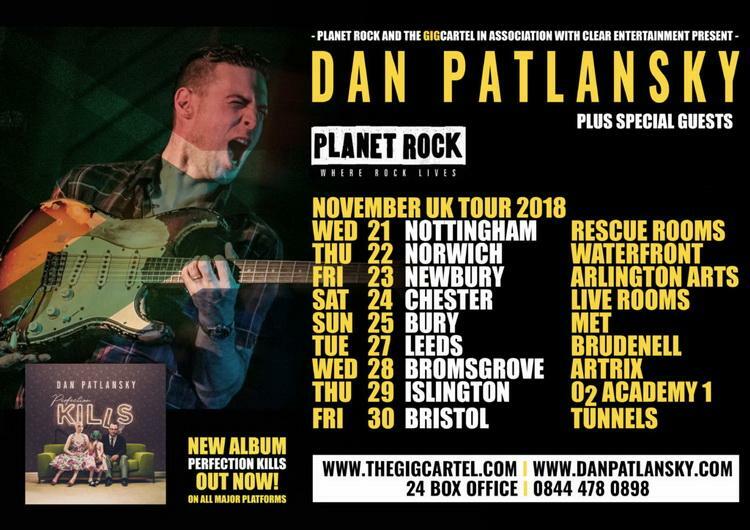 Dan Patlansky, hailing all the way from South Africa, is hitting the UK stages in celebration of his recently released album “Perfection Kills”. Dan is a rising star in the blues revival, combining rock with the blues feels to bring it bang up to date. He has taken the blues and soul genre by storm; in 2015 Dan was chosen as Male Artist of the Year by Blues & Soul Magazine. The show kicked off with one his older songs, back in 2009, “Love City”, which was met with raucous applause. Dan Patlansky mixed in a range of his new songs, with his old solid classics. The crowd went wild for his top hits, such as “Backbite” and “Sonnova Faith”. It was a real treat to hear some of his tracks from his latest album “Perfection Kills” such as “Johnny”, “Never Long Enough” and “Too Far Gone”. Dan is famous for his impressive guitar skills on his classic six-string Fender Stratocaster, but also boasts many other enviable talents in singing and song-writing. His vocal range is impressive, hitting the beautiful, soulful blues as well as the raw and emotional power vocals on the rock side. The perfect accompaniment to his bluesy rock instrumentals. His voice is so silky smooth; it can’t help but evoke an emotional response from the crowd. Dan somehow he effortlessly combines classic soulful blues tunes, with modern angsty and almost psychedelic rock. Reminiscent of some of my favourite great bluesy, rock legends like Jimi Hendrix and Led Zeppelin. At the age of 30, he has already achieved what would take most blues artists a lifetime to get to. So, I am sure we are going to see some great things in the future from Dan, definitely one to look out for! As they announced their next song, someone shouted “YEAH” at the top of their voice, I had never seen such die-hard fans before. They interacted with the crowd, as Guy on vocals was belted out the lyrics, he turned to the audience and shouted “it’s your turn now!” and got them all singing and screaming along. I noticed the drummer t-shirt read “Thrash is King” and I think that perfectly shows these guys dedication to keeping thrash metal alive, for which I personally am very thankful for! They certainly proved themselves to be the kings of thrash tonight. The hues of blues and purples carved through the smoke created the perfect mystical and psychedelic back drop. Primitai are fast and high energy, yet deep and powerful. You could feel the power surging through the crowd. They cleverly layer vocal and musical elements, with other bands members backing up Guy on vocals. And, it was amazing to see the incredible passion from their die-hard fans. I briefly met the band outside as I arrived, luckily our smoke breaks coincided! They were chatting about their plans post tour back in Toronto. 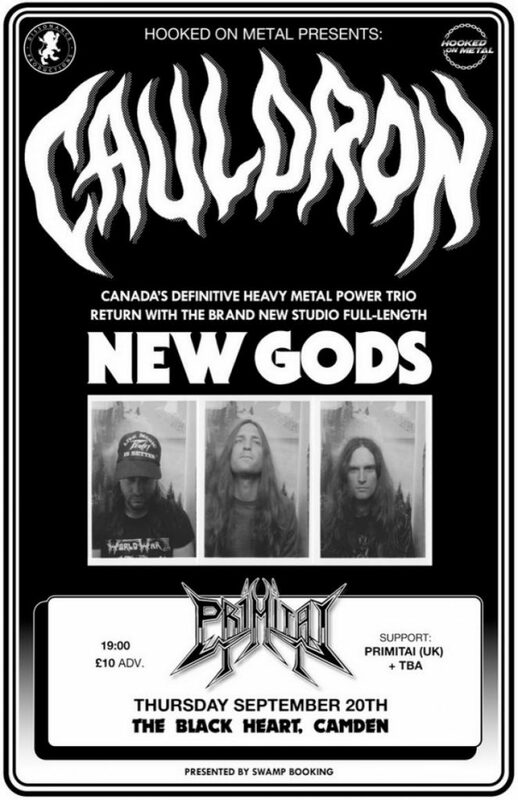 I was particularly interested for Cauldron as I know someone who has just moved to Toronto and is exploring the metal scene out there. Coincidences are funny eh?! Wolf whistles called out into the night even when they were just on stage to tune the guitars! Shows their anticipation and pure excitement for Cauldron. The place was absolutely slammed, way before the scheduled start time, as people wrestled for the best spots. They were an interesting change in pace from Primitai, always good to mix it up. They started slow and deep, picking up the pace and heaviness as they played through the smoke billowing out into the crowd. You should have seen the wave of excitement that passed through the room when they announced they were going to play songs from their fantastic new album “New Gods”. Of course in the excitement and power metal resurgence, moss pits appeared despite the size of the room nestled above the metal pub. There were so many shout out requests for songs, Jason gave in and shouted out “so what do you guys wanna hear? !” and played a couple of requested songs. In the lull between songs, the crowd started chanting “we love you Cauldron, we do! We love you, Cauldron, we do” Ian responded with a sarcastic but genuinely heartfelt “I’m going to have to go backstage to cry now” and clasped his hands against his heart. It was impossible not to get swept up in the wave of passion and excitement that filled that room from both the band and the die-hard fans. The love from their adoring fans is a true testament to these guys. 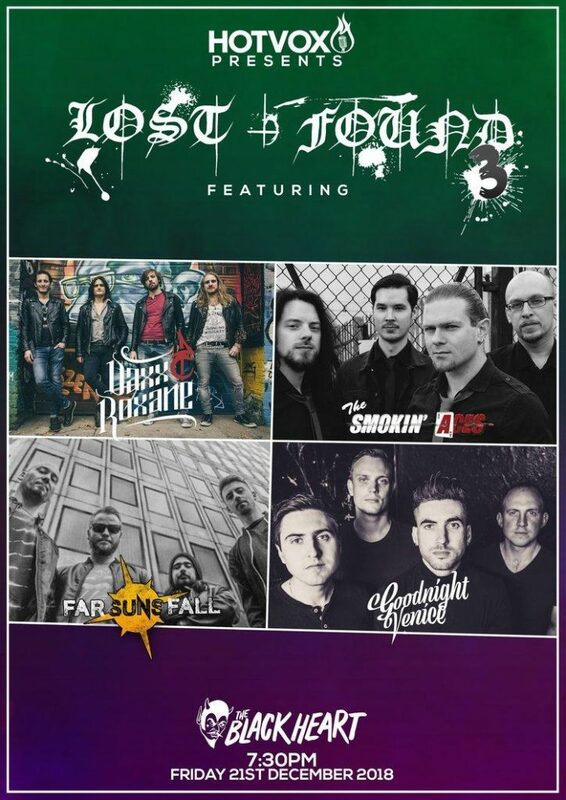 Their heavy and fast songs created a truly power metal experience, with pounding drums electric riffs and rough and raw vocals. Especially with their epically styled power poses at the end of each song. This gig was an incredible experience, the small dark room above one our beloved metal bars in Camden, was turned into Wembley Stadium. The room was absolutely packed to rafters, with die-fans shouting and jumping up. It was impossible not to get swept up in the excitement. The clever user of lighting and smoke show melded with the atmosphere perfectly. 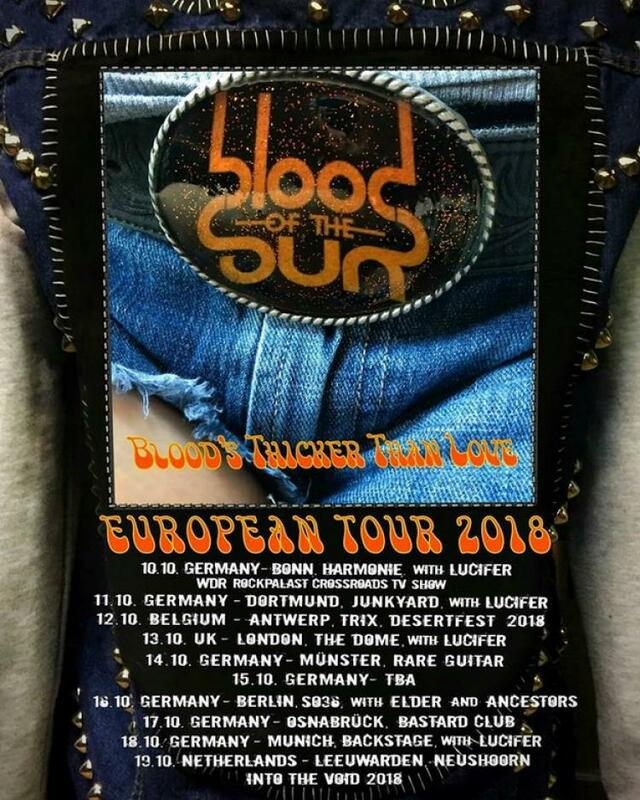 It’s a shame Canada gets to keep Cauldron for themselves, but next time they do a UK tour, I’d definitely recommend you check them out! Formed over three decades ago, The Quireboys have become an iconic British rock band. 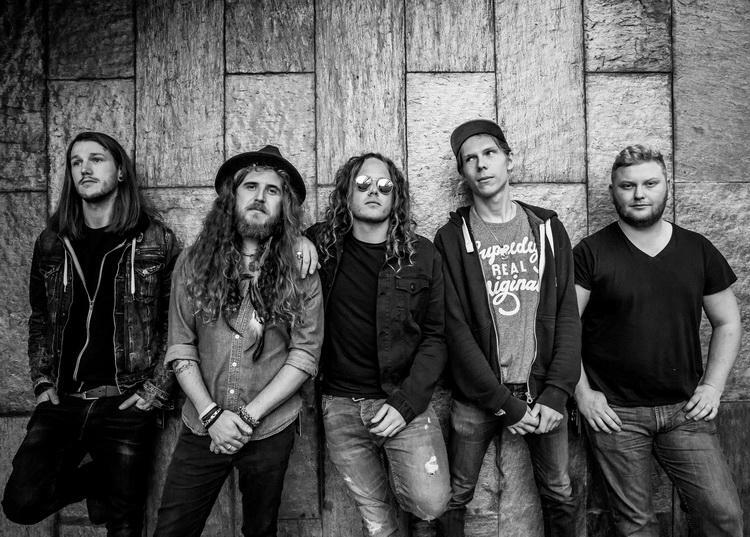 They have dabbled with various genres, progressing from hard rock to gypsy styled folk rock, and most recently have delved into the blues. Their latest album brings with it a refreshing yet emotive change of pace and style. Combining slow and deep ballads with bouncy blues classics. Spike’s sultry, raspy voice perfectly melds the blues influences into their classic rock style. Few bands could play different genres with such authentic conviction, passion and confidence. A true testament to their skills as musicians and love for their music. The Quireboys played a varied set, including their first single “There She Goes Again” and got the crowd to sing along. Mixing it up with a bit of country rock, interacting with the crowd, he said “give me a, Ye-Har!” and of course, their fans responded with a chorus of Ye-Hars ringing out about the room. The catchy and bouncy tune injected a shot of energy into the room. Those Damn Crows kicked off the show with a high energy, top showman performance. The lead singer ran out on to the stage and jumped up on a podium and screamed out their name in a thick, rough voice. His voice was a beacon throughout the show, ringing out load even about the booming drums and roaring riffs. They played a great mixture between their old and new songs, which gave their show more depth as they switched between different styles. One of my favourite new songs they played was “Behind These Walls”, which brought with it a more relaxed pace in a ballad style. I strongly believe that a show is won or lost, depending upon how they perform. Crowd interaction and use of the space can turn any concert from good to mind-blowing. The Crows got the crowd singing and dancing along, with the applause and cheers dragging the stragglers out of the wood work to join the show. Despite the size of the stage, Aaron Buchanan & The Cult Classics owned the space, wildly dancing and leaping about with ferocious energy. Their clever mix of styles brought a unique sound and performance experience. His howling, screeching vocals rang out, calling all rockers to the stage. Combined with the flashing strobe lighting and the deep heavy beat created a trans-like atmosphere (although did make taking photographs a lot more challenging! But resulted in some great shots). Aaron really brought the show to life, chatting with crowd and even joining Paul on the drums at one point, smashing the cymbal. He even took crowd surfing to a new level, turning the rules on their head, literally! As he performed an amazing acrobatic headstand on the crowd! Hailing all the way from Sweden, H.E.A.T. are single handily keeping punk alive and kicking, literally! The heavy beat was only outdone by their rockin’ attitude. The lead singer runs out and shouts to the crowd “we are tonight’s entertainment!” and they certainly did entertain us all. Gyrating on stage and getting the crowd to clap along to their classics, leading the crowd through their show. They transitioned effortlessly between hard hitters and acoustic guitar ballads. Spike definitely has a unique and admiral voice and style, the red velvet pirate of rock &’ roll! Their look and attitude accompanied their music perfectly. Spike swung the mic stand around above his head, in true pirate swagger fashion. They definitely keep the spirit of rock and roll alive! They are true performers till the end, you can instantly tell they live and breathe rock, and this is where their true passion lies. Their new album is an iconic turning point for the evolution and modernisation of blues, The Quireboys successfully played an honest and heartfelt tribute to some of the best blues classics, doing them proud, whilst dragging them into the 21st century with their own unique twist. PS: A massive thank you to Kriz-P for his amazing photos! They really captured the atmosphere of the night and passion of the performers. Check out the rest of his collection here. 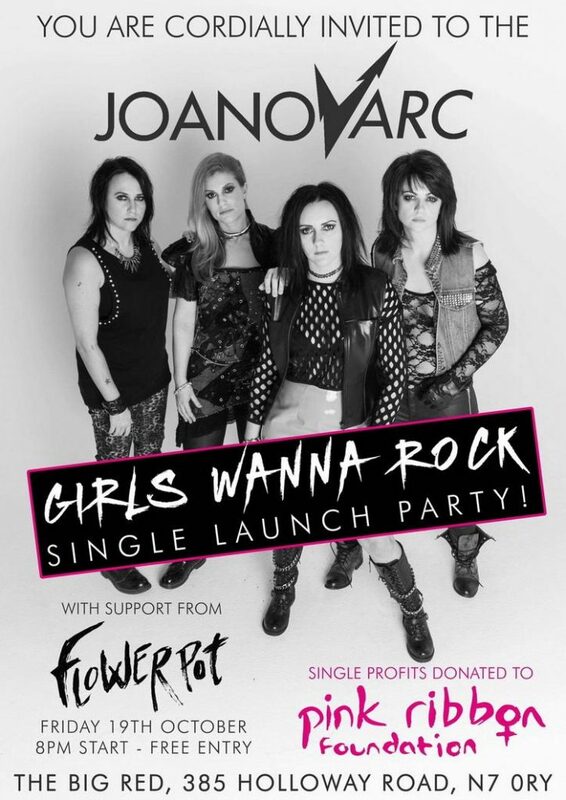 JoanovArc are a hard-hitting all girl rock band. They are an influential and powerful example of women in the music industry; they have even now been proclaimed the “New Queens of Rock” by Gil Norton. 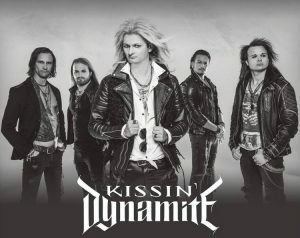 Their hard-work and commitment is paying off, as they were nominated for the “Angels of Rock Hell Award” last year. 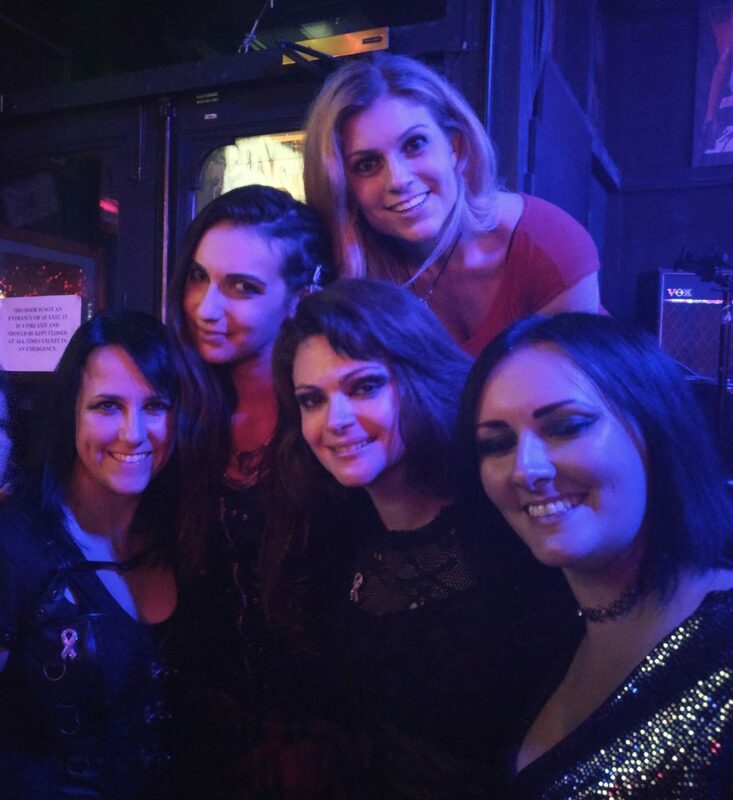 I was able to attend their launch show for their new single “Girls Wanna Rock” at the Big Red, a usual hangout of mine. Their new single “Girls Wanna Rock” is a lot more powerful and in your face than a lot of their previous work. And sends a powerful message about the inclusion of women in the music industry. Check out the official video below… the music video is an awesome Viking battle scene! Even include battle drums made from recycled construction materials, like Stomp. I arrived early, and found a booth near the front. It was an interesting hearing them sound check, whilst I was waiting to interview them afterwards. After watching their new single’s official music video, I was struck by how her voice sounded even better in real life. Me and the JoanovArc gals! John Altman, the director of the music video, introduced the single launch. JoanovArchad the lovely idea to use their single launch as a fundraiser for breast cancer charities. They filmed the video in one or two days on Bodenham Moor. It was a labour of love and really hard work, given the heat, but everyone came together and we really enjoyed it. They then played the video on the projector, as it ended there was a raucous round of applause.